The first time I met General Salem Al-Masoud was during his high school years. He was a black young man of Bedouin origins, whose excellent manners attained him the respect of all the student body. He never got into a fight and I always wondered if he had the guts for it. How much I was mistaken, for it needed more than a school fight to get his fury out. His wrath needed the Iraqi Republican Guards to be unleashed. 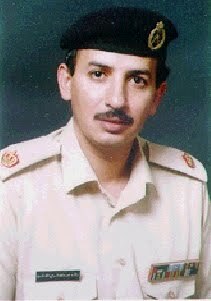 On the second of August 1990 Colonel Salem AL-Masoud was the commander of our 35th Mechanised Brigade. After he finished his morning prayer at three in the morning he went to his intelligence headquarters to check the Iraqi incursions. Although he did not have orders to prepare for a fight he ordered his tanks to be armed and waited for orders. Finally he got his orders to engage the enemy at the two bridges leading to Kuwait city. Salem will not wait for a moment and his tank was the first to leave the base. Later conflicting orders did not deter him from his goal. He felt that then was his moment in time. He believed in his oath to defend his country and now is the time. 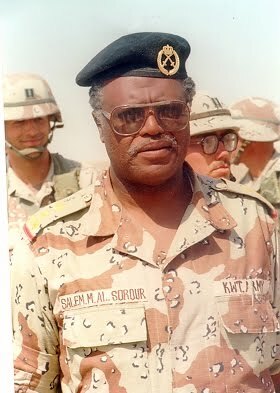 But what Salem did not know is that he will be confronting two Iraqi Republican Guard Mechanised Companies, Al-Medina and Tawakalna the best of their forces. 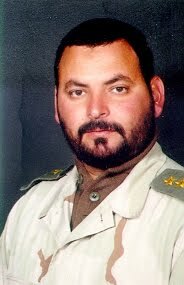 LTC Ahmed Al-Wazan took a position to block one bridge and LTC Ali Al-Mullah's group to block the other. From their positions they noticed that they were facing a superior enemy. It was the Republican Guards with their Soviet M72 tanks which were superior to their British Chieftain tanks. Yet they believed in their mission and were willing to sacrifice. When the orders to start firing came, CPT Ali Al-Kanderi of Al-Wazan group had a special problem. His best gunner was on holiday and his replacement not as experienced. But suddenly a black Chevrolet stopped next to his tank. To his amazement and delight it was Mani Gannas the best gunner in his group, who had come on his own to help defend Kuwait. Mani fires the first shot that stopped the Iraqi convoy and the shooting starts. They killed so many tanks with their precession shooting. A precession that even amazed the Iraqis themselves, for their POWs where asking them if the Kuwaitis had some Americans with them. When the cowards realised that they were facing a formidable force, they retreated and called their air force to neutralise the defending forces. Their helicopters could not pin point the brave soldiers of the 35th Brigade, because they thought they were looking for a much bigger number of tanks and artillery. Salem Al-Masoud called for air support. LTC Majid Amin, half brother of Sheikh Fahad, not knowing that his brother was murdered flew his Skyhawk and started to down the Sokhois and the Iraqi helicopters. He even used his artillery to attack the invading ground forces. They sent two SAM rockets at him. He managed to out manoeuvre the first but the second struck his plane. 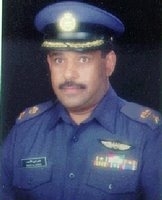 He flew his limping plane back to his base, refuelled it and flew to Saudi Arabia to save it. Meanwhile Salem ordered his Brigade to retreat to Saudi Arabia. His flanks being defended by LTC Fahad Al-Hashash his artillery commander and CPT Ra'id Al-Ghanim his TOW commander. Late afternoon they get to Saudi Arabia, and after some consultation they were requested to move to another location way in. But when Saddam knows that two of his best Companies were stopped by a Kuwaiti Brigade he gets mad. He ordered some Iraqi bomber planes to bomb them, but they bombed their earlier position in Saudi Arabia. As if that was not good enough. 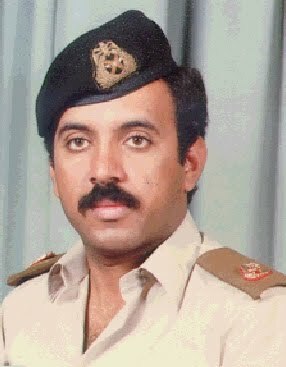 CPT Nasser Al-Dewailah the maintenance officer went back to Kuwait the next day and repaired the tanks that had mechanical problems and were left in Kuwait. Nasser's bravery and dedication to his group does not end at that. On the third and fourth days after the invasion he goes back to the 35th Brigade Base and takes back most of the spare parts back to Saudi Arabia. I asked him how he managed to go to a military base occupied by the Iraqis and take the spar parts. He laughed and said that they were busy stealing the tv sets and other electrical appliances. They were robbers we were fighters. Later on Salem Al-Masoud reports for his Brigades duty to our legitimate government in Dhahran. Subsequently the 35th Brigade was ordered to join with the US Marines. 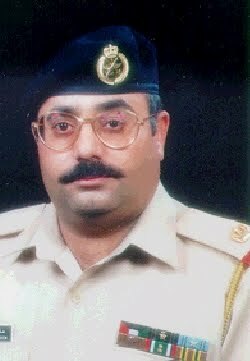 I asked Ahmed Al-Wazan how was it going back to face the Iraqi forces to liberate Kuwait. He said that it was more quitter. Except for one incidence when they faced some Iraqi artillery. They reported it to their Marines Command, and the US Air Force silenced it. 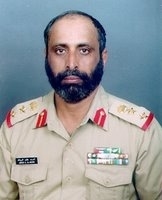 On June 1996 I attended the graduation of young Kuwait Armed Forces Cadets. I met General Salem and he saluted me as a member of the royal family. I kissed him and whispered into his ear " I wish I would salute you and envy those who would be under your command". That was a story of valour and dedication. A good description of this battle is found in a magazine called ARMOR September-October 1996 edition.